It’s not quite summer yet, but that’s no reason not to start thinking about those books that just scream SUN, SAND AND…. ICE CREAM? (Yes, most definitely that last one!) Everyone has their favorite type of book to read on the beach, but what if certain situations warrant certain books? Well, I’ve got you covered! Here are my Top Ten Beach Reads for Different Scenarios! You’ve just started summer vacation or have taken a few days off from work, and you desperately need a day to simply chill. This scenario calls for a fun, light read that will keep you entertained without having to work too hard. Try something like Is Everyone Hanging Out Without Me? 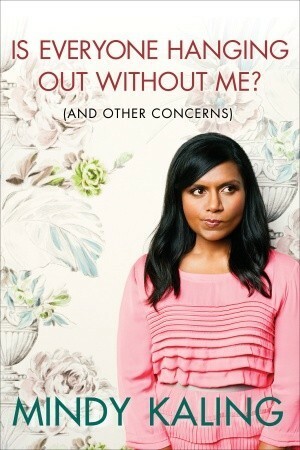 by Mindy Kaling- it’s sure to get you laughing and enjoying your day off! Scenario #2: Quick, a Distraction! Let’s face it: some beach trips can turn sour pretty quickly. A family of seven plops their stuff down right next to you, kids are screaming and splashing a few feet away, and the couple behind you is arguing loudly for all to hear. You need an engrossing read that will distract you from the surrounding madness and keep your attention even when it seems louder than a high school study hall. 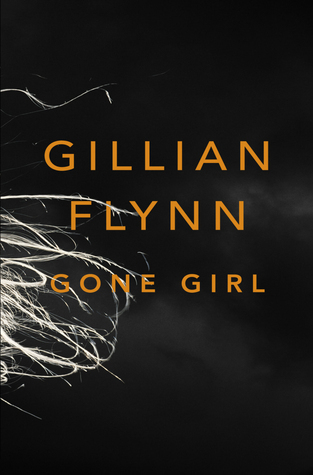 Try a mystery like Gone Girl by Gillian Flynn- you’ll be so glued to the page that the sun will be setting before you know it! You’re part fish, what can you say? You’re in the water so often that your time on the sand is short and sweet. You still want to get some reading done, though, and you’re hoping to finish something by the end of the day. 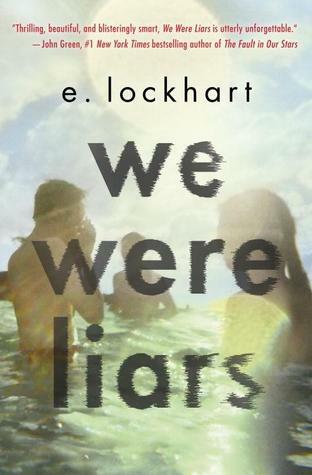 Try a short but gripping read like We Were Liars by E. Lockhart. The pages fly by, and you’ll have plenty of time to swim to your heart’s content! 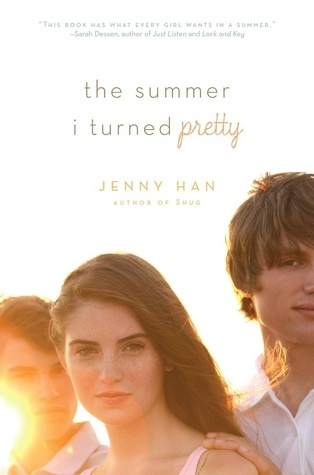 Sometimes you simply feel like reminiscing about the good old days, and a reading a book like The Summer I Turned Pretty by Jenny Han is a great way to do that. It’s bittersweet, like many memories tend to be, and it will take you right back to those hot summers on the beach when the biggest worry on your mind was what your latest crush thought of you. You thought the shining sun would be enough to cheer you up, but unfortunately it’s just not doing it for you. Perhaps you’ve recently been through a rough breakup or have been stuck in a bit of a rut for a while. Whatever the case may be, chances are a good book might help you feel at least a tad better. 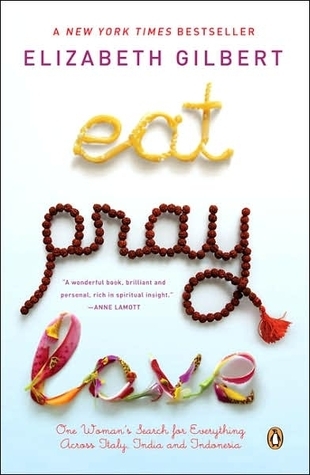 Try reading the inspirational and heartwarming memoir Eat, Pray, Love by Elizabeth Gilbert. She completely improved and changed her outlook on life, so what’s to say that you can’t do the same? You love everything sappy and sweet, and romance novels are no exception! You don’t want anything too scandalous, though (I mean, you might, but for the purpose of this list you don’t! ), so an adorable YA romance would be perfect. Try Anna and the French Kiss by Stephanie Perkins, and I dare you to try to not fall in love with St. Clair. When I was younger I always associated the water with my favorite sea creatures: mermaids, of course! If beach still makes you think of these lovely beings, then maybe a mermaid book is the way to go. Try Of Poseidon by Anna Banks. It’s a trilogy, so if you like the first book you can always go back for more! Scenario #9: It’s. So. Hot. It’s hot. REALLY hot. You weren’t expecting the sun to suddenly start blazing at one million degrees, but since when does Mother Nature actually care about what we think? Anyways, you’d like a book that will keep your mind off the heat and focused on a cooler place. 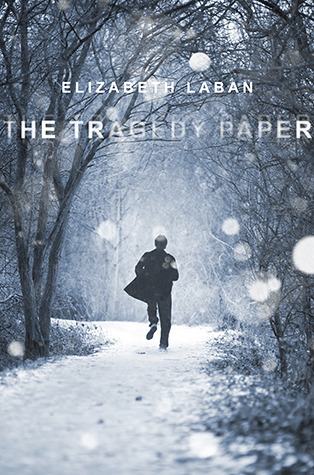 For a great read that’s set in the winter months, try The Tragedy Paper by Elizabeth Laban. Just look at that snowy cover- I feel cooler already! All of these scenarios are fine, but in the end you just want a good book to read on the beach no matter what situation arises- that traditional summer read. 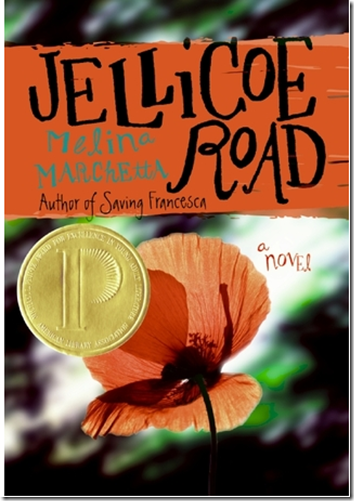 One of my favorite books to read in the summer is Jellicoe Road by Melina Marchetta. I’ve mentioned this book SO MANY TIMES on this blog, but that won’t stop me from mentioning it a million times more! I love it so much, and I reread it practically every summer. I hope you’ve enjoyed this TTT! What beach reads do you recommend? What do you think of the books on my list? Let me know in the comments section below! Hi, and thanks for following my blog! 🙂 I hope you enjoy All the Light We Cannot See, and I’d love to hear your thoughts about it afterward. I absolutely loved it, but some people are a bit daunted by its size and the fact that it’s historical fiction. But trust me, it’s completely worth it! This is a fun list. I haven’t read any of these but now I have more on my list to see if the library has them. I’ve actually never read a beach read on a beach. The few times I have been to a beach were when I was quite a bit younger so I was more excited to make sand castles than read. haha yeah I usually tend to read stereotypical “beach reads” when I’m not at the beach as well, mostly because they help me feel like I am 🙂 Although last summer I did get around to reading a few by the water, and it was so lovely! Thanks! 🙂 We Were Liars is just meant to be read in the summer, in my opinion. It’s so great! Stephanie Perkins has some great summer romances. I still want to read Jellicoe Road. Happy reading! Jellicoe Road is AMAZING- I’ve read it countless times, and I love it more and more each time I read it. I hope you enjoy it! I love your take on this topic! The different scenarios for each book are great and give me a much better idea of which ones I should be picking up – thank you so much! Thanks so much! 🙂 I’m glad that it helped. I always get sort of overwhelmed when trying to decide what to read in the summer because there are just so many great books to choose from! Breaking it down like this is really helpful. I love the way you did your list this week! It’s so creative I feel like such a lazy person for not coming up with anything remotely interesting as this haha. Gone Girl is definitely one of my favorite books this year and it really is the type of book that gives you a great distraction from the real world. Anna and the French Kiss is such a cute and romantic read, I wish I’d read it at a beach or at least while on vacation haha. Thanks so much! 🙂 haha and don’t worry, usually my TTT posts are not nearly as creative as this one. I feel the same way about Anna and the French Kiss- I think I read it some random winter day a few years ago, but I should have saved it for the summer or at least a vacation so I could have enjoyed it even more without school being all distracting. I love your different scenarios, this is so clever! I can totally see Mindy Kaling being a great rest and relaxation read, and reading a book set in a frigid cold winter while you’re sweating it up on the beach (or in a house with a broken air conditioner, as my summers always seem to involve) sounds like a really smart mind-trick. Great list!! Thanks! 🙂 I recently learned that Mindy Kaling is also coming out with a new book in the fall, so we’ll be all set for next summer as well, haha. I love your take on Top Ten Tuesday this week! Excellent list. Some of these books I haven’t heard of, thanks for the recommendations. Thanks! 🙂 I’m glad that it was helpful in giving some recommendations! 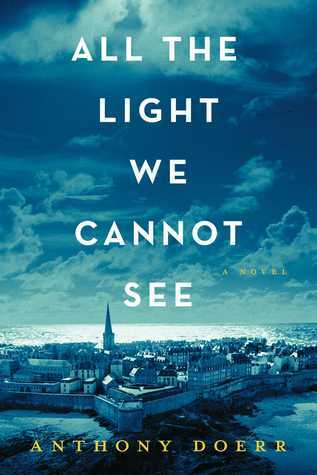 100% agree with All the Light We Cannot See! Nice list, I will have to more closely at some of these! Yay, another lover of All the Light We Cannot See! More often then not whenever I mention this book people are either daunted by the size or the fact that it’s historical fiction. But I love it so much! haha, thanks! 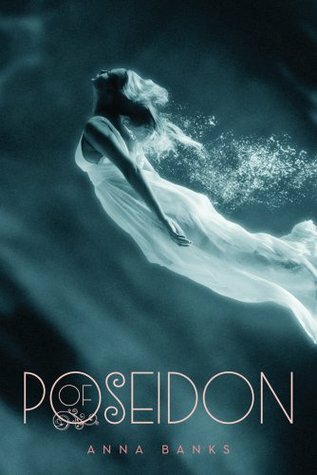 🙂 Of Poseidon is great, and I really like the fact that it’s only a trilogy. So many series are really long now that it’s nice to only have to commit to three books! I’ve read the whole The Summer I Turned Pretty series, Eat Pray Love, and Anna and the French Kiss and loved them all! Definitely need to read the other books you listed!